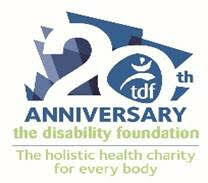 The trustees are representatives elected to the Board by membership and determine TDF’s aims, objectives and priorities. Dr Robin Gibbons is currently the Chair of the Board of Trustees. Robin received his doctoral degree at Brunel University London in December 2015, and his research field is cardiovascular and musculoskeletal health in people with Spinal Cord Injury. Robin previously worked as a Royal Navy diver and a commercial pilot with Virgin Atlantic Airways prior to sustaining a spinal cord injury himself following a road traffic accident in January 2001. Apart from his scientific studies, Robin believes in the power of complementary therapies to improve the wellbeing of mind and body. Michele has worked tirelessly in the charity world for over 35 years. She has been involved with Association of Jewish Refugees Edgware Day Centre for the elderly, Rela Goldhill Home for people with disabilities. These were all very hands-on roles where she visited daily assisting and taking out the residents. Michele is on the Executive Committee Fundraising at Jewish Care and sits on a variety of other different committees including the Gala Committee at RNIB since its inception. Michele founded TDF in 1998 and has watched the charity go from strength to strength. Rebecca worked at TDF as a therapist for over 9 years and was delighted to return as a trustee. Having completed a BA (HONS) Degree in Human Services at the University of Tennessee 1983-1986 where she studied human growth and development, Adult and Child Pyschology, Sociology and Philosophy, Rebecca had a huge range of experience of working as a care worker, probation officer and looking after adults with learning difficulties. Over the last 20 years Rebecca has run her own healing businesses and brings her extensive experience and knowledge to TDF. Zina completed her undergraduate degree at the University of Bath where she obtained a BSc in Social Policy and Administration, followed by an MSc in Refugees and Forced Migration Studies at the University of Oxford. Zina has worked across the charity, legal and private sector in a variety of roles. She currently works at Campbell Tickell, a multi-disciplinary consultancy, as the Marketing and Communications Coordinator. Previously she worked at the NSPCC as a Fundraising Executive; Action on Hearing Loss as a Relief Support worked, in a deaf-blind care home; and Academic Registrar of The Arava Institute for Environmental Studies in Israel. At TDF Zina was the Funding and Campaigns Officer for two years, during which time she gained experience in the runnning of the charity and contributed to implementation of successful change within the organisation. Zina has also undertaken a variety of volunteer roles including: Chair of the European Alumni of Arava Institute; Participant on an international delegation of lawyers/human rights campaigners with the Colombian Caravana; Assistant at the London Refugee Week; and Construction Volunteer with From Houses to Homes in Guatemala. Zina is passionate about campaigning and an individual who cares significantly about giving people better opportunities in life. She has had personal experience of disability and of caring for others. As a TDF Trustee she is keen to promote TDF’s campaigning presence and look at new avenues in which the charity can move forward as an organisation.